A new mural painted on the crosswalks of 12th and Jackson in July 2017 looks onto the Seattle skyline. The crosswalk sits at the entrance of Little Saigon and represents many aspects of Vietnamese culture. Old and new collide in Seattle’s Chinatown-International District. Posted signs show where development is planned for the historic neighborhood. But there are other types of signs. The brick exteriors of many of the neighborhood’s older buildings have fading painted signs where shuttered hotels and restaurants used to stand. The fading signs are called ghost signs. Some are still visible, despite the vibrant graffiti that surround them on the same exterior walls, and despite the evolving businesses and buildings that have been in constant flux. The contrast shows the struggle to preserve the histories of the people who came before, while the present also carves out its own story. 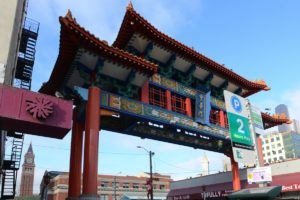 As Seattle expands, the city’s historical neighborhoods face changes, including the Chinatown-International District which has been the home of many different immigrant families, and subsequent generations. Gentrification looms as families who have lived in the same neighborhood for decades risk being forced out because of development pressures. So how do you do you preserve the identity of a neighborhood, both historical and contemporary? For Chinatown-International District artist Carina del Rosario, it’s about giving people a chance to look at identity in a different way, through art. Del Rosario is a Chinatown-International District resident, artist and teacher who found a strong sense of community when she moved there 25 years ago after graduating from Santa Clara University. She’s originally from Philippines. She has long been involved in documenting minority populations using photography, mixed media and other unique platforms. In her current project for the Wing Luke Museum of the Asian Pacific American Experience, located in the Chinatown-International District, del Rosario is documenting the history of activism and effects of gentrification within Seattle’s Asian Pacific American community. The exhibit is scheduled for 2019. Del Rosario looked at photographs beginning with the construction of the Kingdome in 1976. The proposed construction was on the western corner of the Chinatown-International District, threatening the character of the neighborhood. Some of the institutions identified today with the Chinatown-International District were borne out of the neighborhood’s response to the development. In her process of documenting how the APA communities responded to the development of the Kingdome, she’s found similarities in the ways those communities are organizing and responding today. In the Chinatown-International District both graffiti and “ghost signs” coexist on the same building. (Photo by Hannah Myrick). Her project represents the old becoming new. It is a balance between change and preservation, by making contemporary art out of historical identity, and allowing those two processes to exist side by side. Ron Chew, who has lived in the International District for most of his life, agrees. “I think there’s room for both the expression of new voices as well as the preservation of neighborhood identity and how that gets figured out, I think is a worthy topic of discussion,” said Chew, the former executive director of the Wing. He is also board president of the International Examiner. 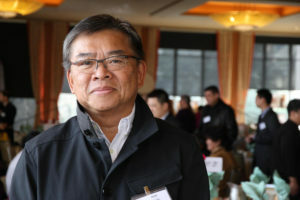 Chew has been working on issues in the Chinatown-International District since the 1970s when the International Examiner was founded. 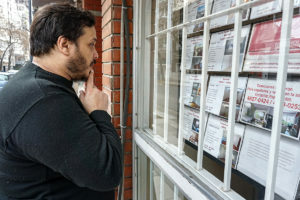 He said many people in the neighborhood his generation and older are retiring, but younger generations lose opportunities to learn the history of the neighborhood. The International Examiner was founded in 1974 around the time that the neighborhood learned about the plans to build the Kingdome. 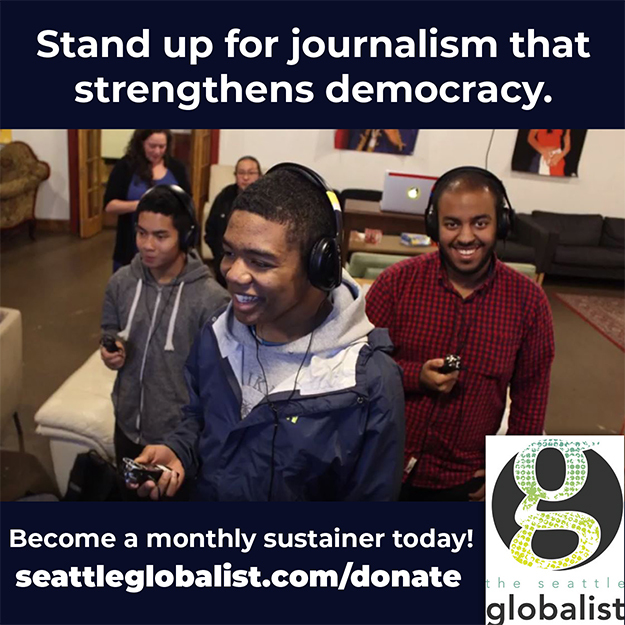 The newspaper was then known for being full of young idealists and activists making their voices heard through community journalism. It was just one of many organizations created in response to the plans around the Kingdome. The Wing was another organization founded with a goal to maintain the Chinatown-International District’s identity. It is once again a key part of the museum’s mission today. “We began to see art as being much more connected to people’s lives… artists not simply as solo visionaries and participants in a larger movement and cause. So it helped reframe the notion of what art could be,” Chew said. Today, the Chinatown-International District faces a threat to its identity that mirrors the one from the 1970s, as the new collides with the old. In 2008, del Rosario and a couple other artist friends had an idea to fill the many empty storefronts in the Chinatown-International District with artist pop-ups. 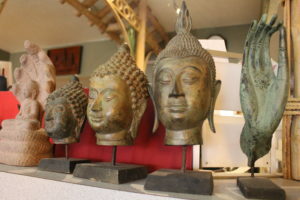 They eventually established a dedicated space — International District Engaged in Ideas, IDEA Odyssey Gallery — at 666 S Jackson St. The artists struggled with the right way to create a new space for art in the historic district. “We know that sometimes artists can open the door to gentrification,” del Rosario said. People are drawn in by something new, she said. The art becomes hip, meaning more people are attracted and more of that art is created but not by the original creators. 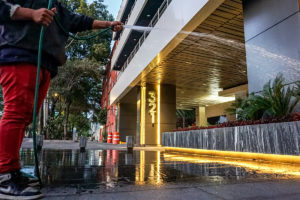 The original inhabitants are forced to find another place to create and in the process are punished for producing what made the area popular in the first place. IDEA Odyssey Gallery’s artists work on art in the context of the community development of Chinatown-International District. “We made our mission to be about one nurturing artist of color that explores diversity in their work. We made sure we were working in partnership with local organizations and showcasing art that reflects the community or issues that the community can identify with,” del Rosario said. “I think art is incredibly powerful because it can… connect with people on a much more visceral or aesthetic level,” del Rosario said. She said that more obvious types of resistance — holding signs and protesting — sometimes fails to get the message across. “Sometimes I think that feels too direct and people who may oppose or be undecided, will automatically hold their ground. But I think art, because it can come at you in surprising ways, can lead you to think about things differently,” del Rosario said. There have been efforts to preserve the fading Chinatown-International District ghost signs, but it’s unclear whether ultimately they will remain a physical part of the neighborhood. 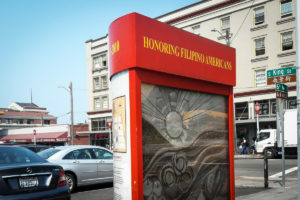 What is clear is community based creation and conversation is where a new era of identity is created and simultaneously preserved in the Chinatown-International District, including the efforts by the Chinatown-International District Preservation and Development Authority’s IDEA space, which helps foster community development projects. 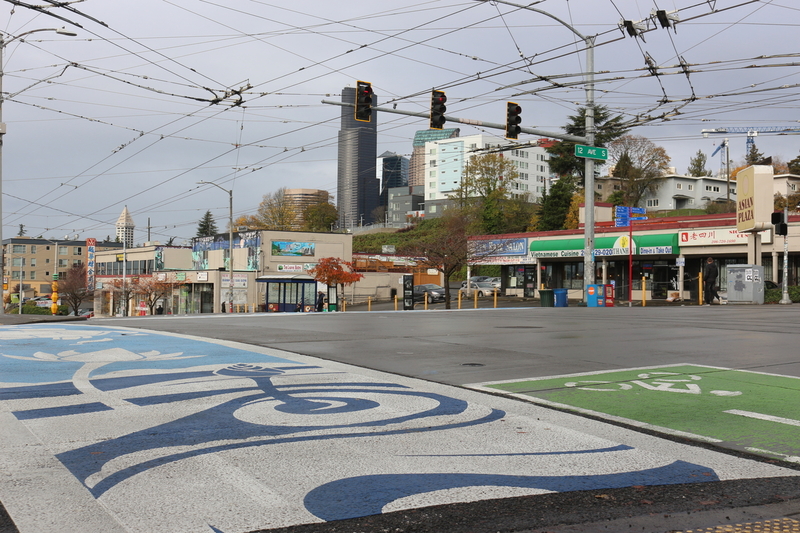 The city has painted new murals on crosswalks at 12th and Jackson, and community-based organizations like The Wing and the Examiner remain vibrant places where people share and create culture and history of the community. “I think that (art) in itself, for people of color…is a liberatory act: doing something that feeds your soul,” del Rosario said. Tags: Chinatown International District, gentrification, Seattle gentrification. 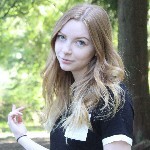 Hannah Myrick is a student at the University of Washington, majoring in Journalism. 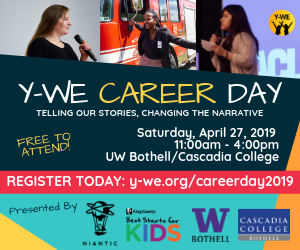 She can’t get enough of exploring the music and food scene in the city and is interested in exploring how art and diversity in Seattle intersect. Great job on this, Hannah. I agree with del Rosario that art can go where other forms of expression, such as protest, don’t always reach.